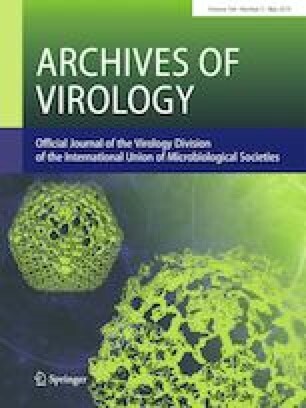 Carnivore protoparvovirus 1 (canine parvovirus 2, CPV-2) has undergone a rapid evolution through mutations in the capsid protein VP2, giving rise to variants associated with unique clinicopathological and immunological features. VP2 is a major capsid protein involved in key steps of virus biology, including interactions with cellular receptors and with the immune system. This study analyzed the complete VP2 coding sequence of 38 CPV-2 isolates obtained from dogs with clinical parvovirosis in southern Brazil. Amplicons encompassing the whole VP2 coding region were subjected to nucleotide sequencing, and predicted amino acid sequences were analyzed to identify molecular markers of viral variants. Viral variants were classified as CPV-2a, -2b or -2c based on the presence of the amino acid Asn, Asp or Glu, respectively, at VP2 residue 426. Amino acid sequence analysis identified 20 CPV-2c and four CPV-2b isolates. Eleven viruses were identified as New CPV-2a, two as New CPV-2b, and one resembled the original CPV-2 and was designated CPV-2-like. In addition to the mutation at amino acid 426 of VP2, new 2a/2b variants containing a Ser297Ala mutation at residue 297 were identified. CPV-2-like samples contained some mutations that were also present in the original CPV-2 isolate, including as Leu, Thr, Ala and Asp at residues 87, 101, 300 and 305, respectively. The New CPV-2a isolates had three additional mutations (Phe267Tyr, Tyr324Ile and Thr440Ala) associated with selective pressure and development of disease in vaccinated dogs. The resemblance of the CPV-2-like isolate to CPV-2 suggests reemergence of CPV-2 and/or evolution from vaccine strains. Phylogenetic analysis grouped the variants with their respective reference strains, in general, according to amino acid changes. These results demonstrate the high VP2 diversity of CPV circulating in dogs in southern Brazil and indicate the emergence of new viral variants that differ markedly from the current vaccine strains. We thank the LPV (Veterinary Pathology Laboratory/UFSM), Axys Análises Laboratory and veterinary clinics for providing the clinical samples. Funding and scholarships were received from the Brazilian Council for Research (CNPq) (PSBO-Process: 131335/2017-0, EFF-Process: 301363/2017-0, RW-Process: 304153/2014-1) and JFC received a scholarship from Coordenação de Aperfeiçoamento de Pessoal de Nível Superior - Brasil (CAPES). This study was financed in part by the Coordenação de Aperfeiçoamento de Pessoal de Nível Superior - Brasil (CAPES) - Finance Code 001.